Immigration model • German delegation visits city for ideas. Boise, Idaho • The success of Boise&apos;s refugee resettlement program has attracted international attention. German professionals, public officials and volunteers kicked off a two-day visit to Boise on Friday to learn about how the city welcomes and integrates refugees. Germany is among the many European countries that has seen dramatic increases in refugees due to a growing international migration crisis. In 2015, Germany saw around a million refugees cross into their country. "We have a lot of hate," said Petra Verhees, who lives in a small town in eastern Germany. "This is a new problem for us. We have 3,000 residents and we received 300 refugees. It&apos;s very important to find programs to integrate migrants from day one." Verhees said it&apos;s difficult to even address basic services like transportation or education for refugees while also keeping the backlash at a minimum. Her town doesn&apos;t have a bus system and children have to either walk or take a taxi to get to school, while the city council is largely opposed to any refugee resettlement efforts. Not every city has had negative experiences though. In Mannheim, with around 300,000 people, a flood of 15,000 refugees went fairly smoothly with little resistance from the rest of the community, said Jutta Breitner, who works for the city. "It&apos;s not all bright and shiny," she said. "Many people fear they will lose something. We are doing our best, but it&apos;s not always easy." 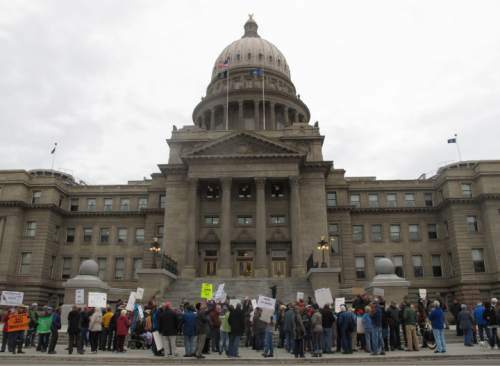 Meanwhile, in Idaho, opposition to refugee resettlement has grown over the past year as part of the national debate over the vetting of refugees fleeing war-torn Syria and particularly following deadly terrorist attacks in San Bernardino, California, and Paris. The two-day tour is part of a recently launched exchange program  called the Welcoming Communities Transatlantic Exchange  that helps educate officials in various countries strategize best practices for refugee resettlement. Four cities in the United States were selected to participate in the program: Boise, St. Louis, Atlanta and Columbus, Ohio. In September, refugee officials from those cities will travel to Germany. Boise&apos;s tour highlighted efforts to work with the refugee community as part of its city planning, as well as looking at how public schools integrate incoming refugee children and learning how resettlement offices work with companies to quickly find jobs for refugees. Idaho has been resettling refugees since the 1970s. The effort originally focused on people fleeing Vietnam, Cambodia and Laos following the end of the Vietnam War, and then expanded to those escaping Soviet regimes in eastern Europe. As the amount of refugees needing help increased, so did Idaho&apos;s resettlement programs. The Twin Falls center opened five years after the Boise center was founded. "For most of our history, refugee resettlement was no concern. 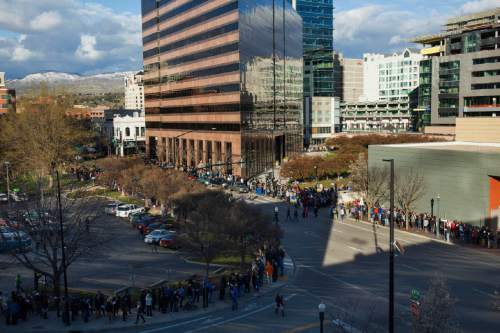 But it has become more of a political issue," said Diana Lachiondo, who works in Boise Mayor David Bieter&apos;s office. "Boise is a little bit of an island."